Woodstock was all about Peace, Love & Music; but if you had to make just one of them, love is definitely the most fun. 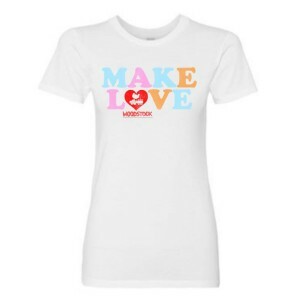 So show that you're up to the task with out Make Love tee. 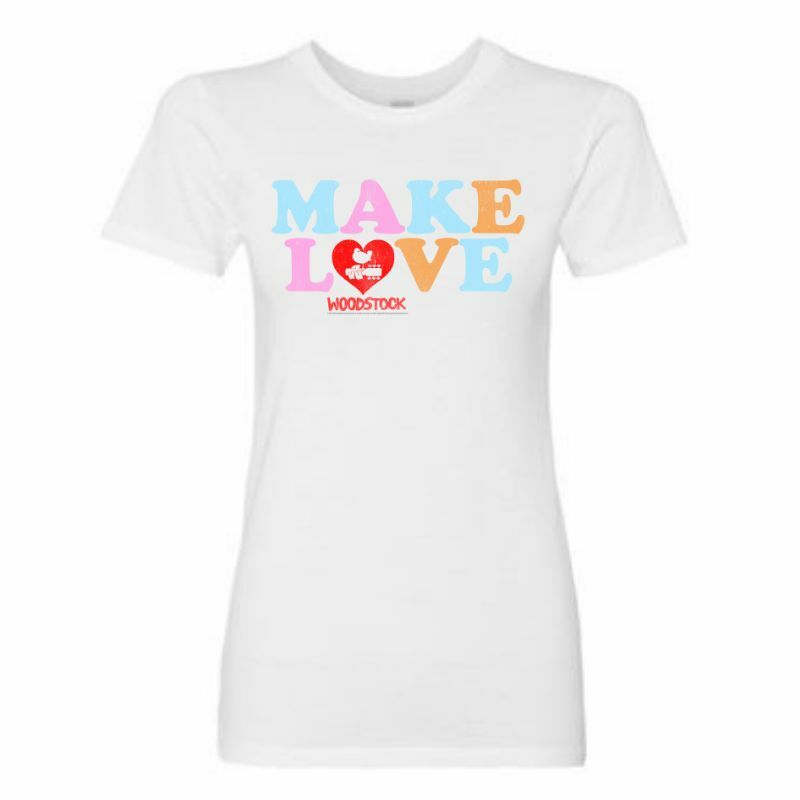 Printed on 100% ring-spun cotton tee. This item is print-on-demand. Please allow for an additional 2-3 days for your order to ship. Print-on-demand items are non-returnable except in the case of an item defect.